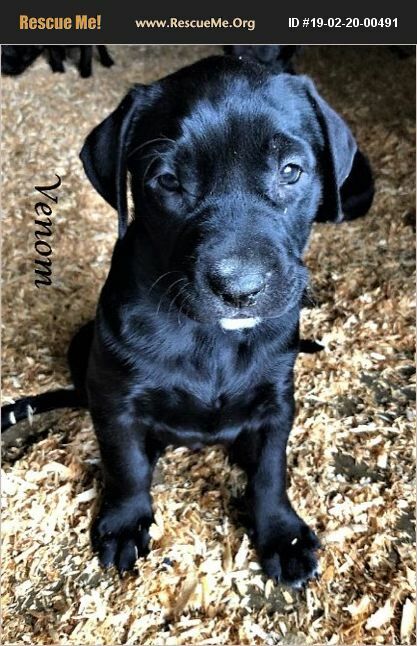 Venom was born 01/16/2019 is 7 week old Male Lab/Shepherd mix. His mom was rescued from the Corona Shelter the day before she gave birth to his and 9 siblings. He is black with white on chin, good with kids & adults, good with other dogs. Since he is a puppy we do not know how he is with cats. He will probably be between 50-55 lbs full grown. Venom is looking for his Forever Family Home!!! Please note: We do not ship any Puppies or Dogs out of state! !